If you're looking for a hilly run through a beautiful, historic neighborhood, look no further than the Chattanooga Chase 8k Road Course. None, unless running actual race. 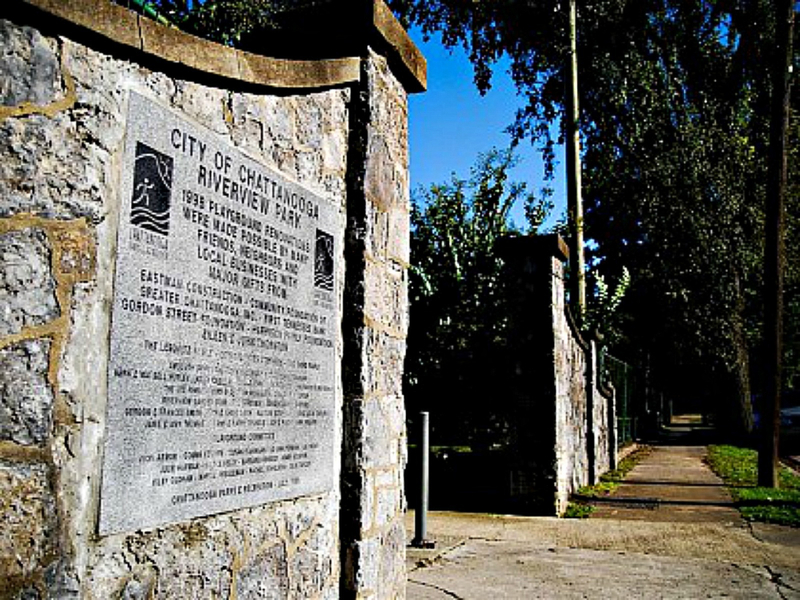 Beginning at historic Riverview park, the Chattanooga Chase 8k road race boasts the oldest organized race in Tennessee. Unofficially held since the 1930's, "The Chase" has been a staple event for the Chattanooga Track Club since 1968. The 4.8 mile "Chase" is both challenging and rewarding in terms of steep terrain and scenic views of the beautiful Riverview community. With gently rolling hills sprinkled throughout, this course takes you to the top of Minnekahda Road where panoramic views of the Tennessee river and some of the most impressive houses in Chattanooga can be seen. The fast one mile decent down is both exhilarating and relaxing as you continue to take in the view of the 100 year old oaks surrounding the area. With less than half a mile from the finish, runners travel parallel to the Chattanooga Golf & Country Club along Riverview Road. Start on Riverview Road by the park, right on Dorchester Rd, continue around making a loop back to Dorchester, right back onto Riverview Rd. Take right on Falmouth, straight to Sunset Rd. Stay right through intersection up Woodhill Dr. back down hill to a right on Hixon Pike. Right on Minnekahda straight up. There is a driveway at the top that cuts through to iron gate (passable) back down Minnekahda. Next left on Edgewood Ln, then right on Edgewood Cr. Left on Winding Way down to Stop. Hang a left back onto Riverview Rd, and continue back to the start. Course resembles a lollipop, but much more fun! After the run, be sure to enjoy a cold brew and big burger at the local watering hole known as the "Tavern" located within walking distance of the start/finish line. If you're looking for a fun and hilly run through a beautiful, historic neighborhood, look no further than the Chattanooga Chase 8k Road Course. Start on Riverview Road by the park, and head right on Dorchester Rd.